We found a new (to us) 2014 Flying Cloud 30' Recliner. Picking the Airstream that was right for us was a year long process. First, you have to decide you want a travel trailer, versus a motor home. Difference being the lack of an engine. We didn't want to haul another car and wanted the flexibility of driving somewhere while camping. Plus the fact motor homes are more expensive because of the engine. Next, you need to determine size. We read countless stories of people upgrading their trailers to bigger trailers after a short time. We had a similar experience with our boat. I wanted the biggest trailer I could tow with my truck. And then you have to pick a brand. This is the tricky part. There's $15K trailers and $150K trailers, and you typically get what you pay for. 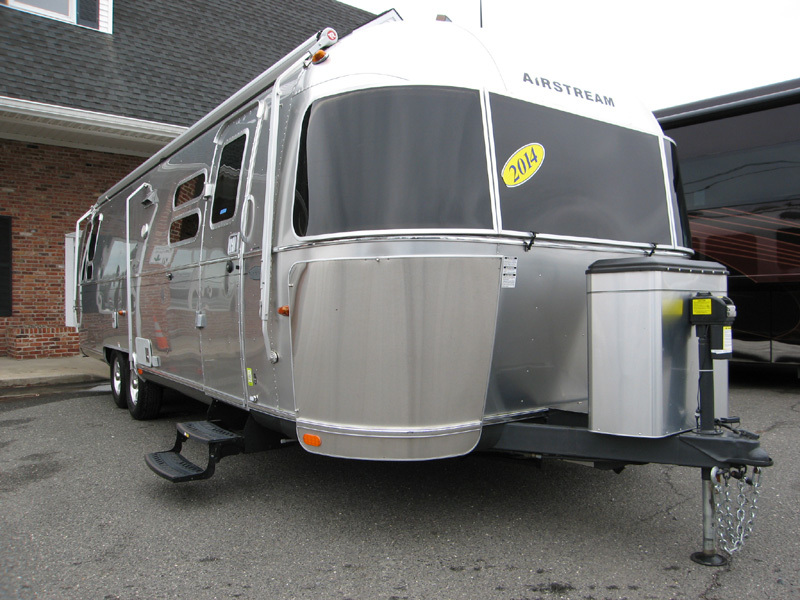 We narrowed down our choices to Airstream due to their outstanding longevity and reputation. We wanted to buy our trailer and keep it for 20 years. A lot of the cheaper brands look nice but I'm pretty sure they won't last 10 years. So this also meant we would buy used, since we couldn't afford a new one. You can buy them from private sellers but my wife insisted we buy from a dealer. We paid a little more but got the confidence of a dealer delivery. There just happened to be a 30' Recliner model at Colonial Airstream in New Jersey. The recliner models were not very popular because most people prefer to increase sleeping capacity, and the recliners replace a sofa that turns into a bed. Apparently only 6-7 recliner models were made per year until they were discontinued in 2015. But we got lucky and a 2014 was available at the right price with the right options.